The Professors Blogg proudly republishes Andrew Kreig’s recent OpEdNews piece “Former House JFK Murder Prober Alleges CIA ‘Lied,’ Seeks Hidden Records.” * Justice Integrity Project (JIP) Director Andrew Kreig (photo at right) is a journalist, writer and attorney, long time contributor columnist in The Professors Blogg. The noted human-rights advocate is the author of the acclaimed book Presidential Puppetry: Obama, Romney and Their Masters, and his columns are published recurrently in the Huffington Post, OpEdNews, Connecticut Watchdog, Washingotn’s Blog and Project Censore, as well as in The Professors’ Blog. The Justice Integrity Project is a research and education initiative established in 2010 by concerned citizens to improve oversight of prosecution and judicial decisions suspected as abusive. Its primary focus is political and other arbitrary prosecutions, and official corruption cases. The Project promotes effective oversight, educates the public and its opinion-leaders and works with legal officials, organizations, and voters to increase awareness of how injustice harms the country. “The CIA not only lied, it actively subverted the investigation,” says G. Robert Blakey, the former general counsel of the House Select Committee on Assassinations (HSCA), which issued its report in 1979. Archives leadership refuses to release the documents until 2017 without CIA or presidential approval. The CIA has said it lacks the personnel to process the documents sooner in ways that protect national security. But at what point does refusal to cooperate with a murder investigation signify a broken system? As part of our ongoing Justice Integrity Project Readers Guide to the JFK murder, today’s column examines Blakey’s allegations. They exemplify the intelligence community’s ongoing resistance to congressional oversight. A future column here will examine evidence that accused assassin Lee Harvey Oswald had secret working relationships with the CIA and FBI. Today, we focus on the late CIA officer George Joannides, at right, the agency’s liaison to Blakey’s congressional staff as they reexamined the validity of the 1964 Warren Commission report on JFK’s murder. Blakey’s written statement here attacked Joannides for obstructing the congressional probe under the pretense of help. Blakey announced his views Sept. 26, 2014 at a three-day conference in Bethesda, MD organized by the non-profit Assassination Archives and Research Center (AARC). The AARC conference title was “The Warren Report and the JFK Assassination: Five Decades of Significant Disclosures.” Supreme Court Chief Justice Earl Warren had led the seven-member commission, which included former CIA Director Allen Dulles among its membership of high-ranking federal officials and former officials. 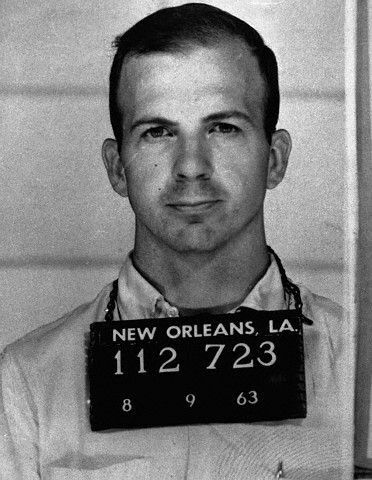 The commission announced that Lee Harvey Oswald, 24, had acted alone in killing Kennedy with three shots from behind. Blakey and two fellow congressional researchers, Edwin Lopez and Dan Hardway, said at the AARC conference they will seek missing CIA records about JFK later this fall — unless the Archives complies with their recent request. Critics have long attacked the Warren report as a whitewash. Some critics cite medical and other scientific evidence to show that it was impossible for Oswald to have accomplished the crime alone, especially if Kennedy’s fatal shot was from the front. Others argue the commission intentionally covered up embarrassing if not criminal ties between itself, the FBI, Oswald, the Cuban exile community, and/or such organized crime leaders as Carlos Marcello, whose turf included the Gulf State region encompassing New Orleans and Dallas. 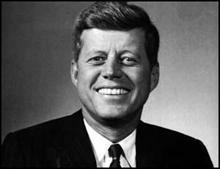 The CIA had the motive and opportunity for a cover-up and a killing, critics have alleged in multiple books, including JFK and the Unspeakable by peace activist James Douglass, JFK by the late Pentagon liaison to the CIA and Air Force Col. Fletcher Prouty, and Breach of Trust by historian Gerald McKnight. Some in the Cuban exile community, CIA and elsewhere regarded JFK “as a traitor,” as Prouty wrote before his death in 2001 and as former Cuban militant leader Antonio Veciana told the AARC gathering last month. Veciana is now 86 and was the victim of a shooting in the head in 1979 after he revealed his experiences to House investigators. He formerly led the Cuban exile anti-Castro military operation Alpha 66, a major opponent of both Castro and Kennedy. Veciana described last month how he saw his CIA handler, David Atlee Phillips, meet Oswald in the lobby of a Dallas office building six weeks before the JFK shooting. Phillips, a former actor and master of false identities, had nurtured the growth of the DRE, the acronym in Spanish for the Student Revolutionary Directorate, another of the most popular and important CIA-funded anti-Castro groups in the United States. In 1962, Phillips, shown at right, handed over DRE liaison to Joannides, according to historian John Newman, author of Oswald and the CIA and a speaker at the AARC conference. Phillips was the CIA’s chief of Cuban operations in the CIA’s Mexico City office in 1963, and after retirement founded the influential Association of Former Intelligence Officers. The Warren report’s theory of the assassination depends in part on Oswald’s activities during several months in New Orleans during the summer of 1963 before the Nov. 22 assassination of Kennedy that year. Oswald, an ex-Marine and former defector to the Soviet Union, worked during the early part of the summer as a maintenance man at the Reily Coffee Company, whose owner is reputed by historians to have been involved with the CIA and anti-Castro actions. In August 1963, New Orleans police arrested Oswald, shown at right, after he distributed pro-Castro literature on a downtown street and brawled with anti-Castro activists from the DRE. Oswald then generated newspaper coverage by debating on radio the local DRE leader, Carlos Bringuier — whom Oswald had privately visited previously in seemingly friendly fashion at Bringuier’s clothing store. That visit was one of many curious activities by Oswald that undercuts conventional wisdom. In September, Oswald traveled to Mexico City for still-disputed purposes. The CIA reported that it lost or destroyed key documentation, including a tape recording purportedly showing Oswald (or an imposter) talking with Soviet embassy staff in Mexico City. 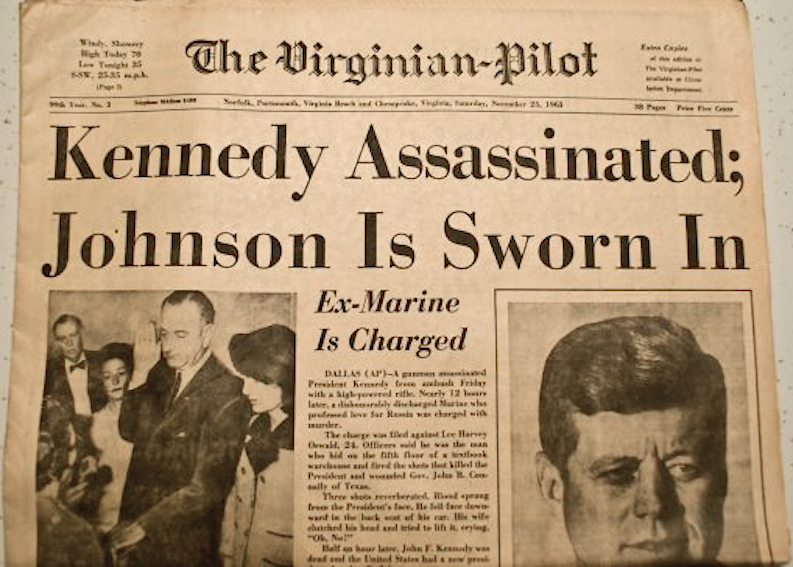 Voice analysis showed that the purported “Oswald” on the CIA tape was someone else, according to a now-public confidential briefing from FBI Director J. Edgar Hoover to President Lyndon Johnson after Kennedy’s assassination. Even so, the Warren Commission report and the media focused almost entirely on the theory that Oswald was a leftist misfit and murderer. It disregarded evidence that authorities used him as a patsy or that he was a low-level government operative acting under instructions. 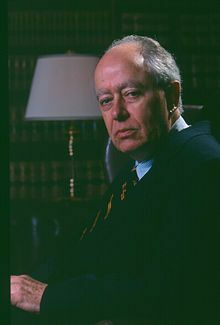 At the committee, Blakely succeeded Philadelphia prosecutor Richard Sprague, whom the committee had forced out after Sprague and his deputy Robert Tanenbaum aggressively pursued conspiracy leads involving Phillips, among other CIA officials. As experienced prosecutors of many murder cases, Sprague and Tanenbaum wanted to follow evidence wherever it led. Instead, Blakey deferred to the CIA, according to committee investigator Gaeton Fonzi, an independent-minded former magazine writer who described their experiences in The Last Investigation. Fonzi’s book and many articles reported also how pressure by congress, including staff firings and tight deadlines, blocked a thorough congressional investigation of the JFK murder. Blakey and his congressional team tried to explore, among other things, suspected relationships between Oswald, Cuban exiles and the CIA. Investigators asked Joannides, for example, the name of the CIA case officer for the DRE. Joannides denied the CIA was working in 1963 with the anti-Castro group. That, of course, frustrated document requests on the topic as the committee’s two-year existence sputtered to an end. In fact, Joannides had been the CIA’s liaison for the DRE’s still-vibrant relationship in 1963 with the agency. 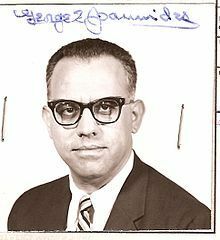 Joannides, who died in 1990, had led the CIA’s anti-Castro psychological warfare operations among South Florida Cuban exiles. 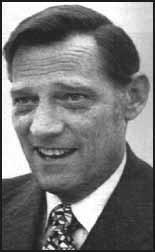 The deception came to light because JFKFacts.org founder Jefferson Morley and his attorney James Lesar obtained CIA records during more than a decade of litigation in the federal civil case Morley v. CIA. 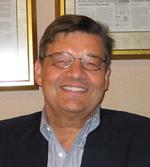 Lesar is a longtime specialist in federal Freedom of Information Act (FOIA) law who also leads the AARC as president. Morley is a former Washington Post reporter who left the paper after it proved reluctant in his view to pursue leads in the JFK murder case. Morley authored the 2008 book, Our Man In Mexico: Winston Scott and the Hidden History of the CIA. Scott was the CIA’s station chief in Mexico City and helped the embassy foster fears in Washington immediately after JFK’s death that Cuban’s leader had ordered JFK’s murder. The trail implicating Castro, which most historians now dismiss as false, helped steer the Warren Commission into claiming to reduce world tensions that Oswald acted alone. One secret CIA document even described the Joannides work with congress in the late 1970s as an “undercover” assignment — a remarkable description for the CIA in its work with elected officials who are supposed to supervise the agency. A vivid perspective comes from two of Blakey’s researchers, his former Cornell law students Dan Hardway and Edwin Lopez. Hardway has described in two recent speeches and memos, available on the AARC website, how the CIA sought to control his part of the committee’s investigation. Hardway said he received from a CIA liaison at the beginning of his work a flattering preliminary suggestion that he work for the agency. But the agency increasingly gave Hardway and Lopez false information and withheld information, Hardway recalled, and then complained to the House committee chairman that Hardway and Lopez were behaving improperly as too aggressive. In March 1979, the committee issued a 686-page report (not counting 12 volumes of exhibits) that concluded that Kennedy was probably killed in a conspiracy by Oswald and other unknown persons. 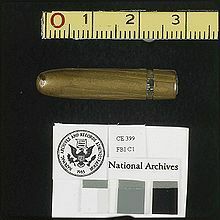 The committee suppressed Lopez and Hardway research, a 300-page document that has become known as the “Lopez Report.” In 1993, the Lopez Report was released in redacted form, available here. At the committee’s 1979 press conference announcing the public committee report, Blakey provided his personal view that the Mafia had been involved in JFK murder planning. He repeated that theme in two books and last month at the AARC conference. “Yes!” Blakey responded. The Single Bullet Theory advocated by the Warren Commission majority (but with a dissent long hidden from the public) is that one bullet fired by Oswald caused seven wounds in JFK and Texas Gov. John Connally and then emerged in near-pristine condition. The purported bullet is shown at right after allegedly found on a hospital stretcher. Why Care About What’s Next? Blakey’s criticism of the CIA for lying to congressional investigators is significant regardless of what the still-hidden evidence might show. In a sense, his continued support for the Warren Commission’s main conclusions on Oswald’s guilt and the Single Bullet theory helps underscore the diversity of those calling for release of secret evidence. Blakey made his allegations most formally in an eight-page letter, which is now on the AARC website, which contains also a link to his former researcher Hardway’s recollections. Hardway, an attorney based in West Virginia, said he has come to believe that Blakey, while showing a certain “naïveté” toward to the CIA’s intentions at the beginning, ultimately did the best he could in gaining access to CIA records in the face of the “political reality” of the agency’s power in the nation’s capital. Morley and Lesar have identified 1,171 CIA documents that the CIA and Archives have refused to release on national security grounds until 2017. Morley fears the agency will stall again on delivery in 2017. Aside from that prediction, the last witnesses and suspects in the JFK murder are dying off, hindering further investigation. In response, NARA Public Affairs and Communications Director Miriam Kleiman told me, “We are on track to release the remaining withheld information by 2017, as the JFK Assassination Records Collection Act of 1992 requires.” She directed me to a 2012 letter from NARA General Counsel Gary M. Stern to Lesar providing reasons for delay. More generally, Hardway recalled an incident that summarized his observations during his year of work from 1977 to 1978. He said he and Fonzi showed their credentials to a retired CIA officer in Florida prior to an interview. Neither President Obama, nor congress, nor the media have paid much attention. A rare exception in the mainstream media has been Boston Globe reporter Bryan Bender, who attended the AARC conference and published a column Oct. 15, “Answers sought on CIA role in ‘78 JFK probe.”To date, the CIA has not explained why it misled Robert Blakey, congress, the Warren Commission and the public. At this point, only an informed public can assess whether the congressional probe was “The Last Investigation” — or was a stepping stone to a new commitment to the truth about a president’s murder that continues to taint American public life. ← Analysis: Snowden document reveals Swedish prosecution of Assange was requested by the U.S.